Detail your 1998-2000 Ford Contour or 1997-2000 Ford Mondeo's door handles by adding these great-looking decals. 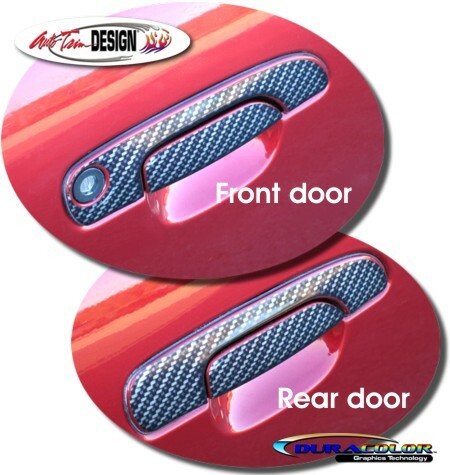 Manufactured with a Simulated Carbon Fiber look, this three dimensional decal set will protect your door handle paint finish and break you apart from the rest! The kit is packaged with one (1) precut decal set for each Door Handle (no trimming required). The decals are very easy to install and includes easy-to-follow general online instructions.